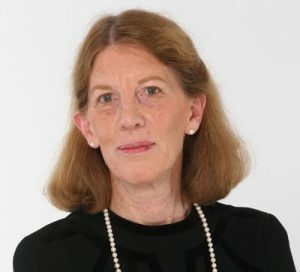 Patricia M. Cloherty is Chairman and CEO Emeritus of Delta Private Equity Partners, LLC, manager of The U.S. Russia Investment Fund and Delta Russia Fund, L.P., two venture capital funds with over $500 million invested in 55 Russian companies. She also is Senior Advisor to UFG Private Equity, partner firm to Delta Private Equity. Ms. Cloherty is former Co-Chairman, President and General Partner of Apax Partners, Inc. (formerly Patricof & Co. Ventures, inc.), a multi-billion-dollar private equity company that she joined in 1970, and from which she withdrew in 2000. She is a past President and Chairman of the National Venture Capital Association of the United States. In 1991, President George H.W. Bush appointed her chairman of an Investment Advisory Council to revamp the Small Business Investment Company program of the U.S. Small Business Administration. From 1977 to 1978, Ms. Cloherty was Deputy Administrator, U.S. Small Business Administration, appointed by President Carter. In 1981, Ms. Cloherty also was the founding President of the Committee of 200, a prestigious organization of the country’s leading women entrepreneurs and corporate executives. In 2004, Ms. Cloherty was named Businessperson of the Year by the American Chamber of Commerce in Russia. In December 2006, Pat Cloherty was named a Technology Top Dealmaker by Forbes magazine. In February 2007, the Moscow Government gave Pat an award for her outstanding contribution to the development of entrepreneurship in Russia and for establishing and supporting small business in the country. In October 2007, Ms. Cloherty received the Woodrow Wilson Award for Corporate Citizenship from the Kennan Center of the Woodrow Wilson Institute for International Scholars. It is given to executives who have shown deep concern for the common good by their example and through business practices that advance the long-term interests of their firms, their employees, and their shareholders. In November 2007, the Russian Academy of Business granted Pat the Darin award for her significant and long-standing contribution to the creation of the new Russian economy. On March 17, 2008 President of the Russian Federation, Vladimir Putin, signed a decree awarding Pat the Order of Friendship for her major contribution to the development of Russian business and for strengthening friendship and cooperation between the Russian Federation and the United States of America. In April 2009, Ms. Cloherty was elected to the Board of Directors of NYSE Euronext (New York Stock Exchange). She holds a B.A. from the San Francisco College for Women, and an M.A. and M.I.A. from Columbia University. She served in the Peace Corps in Brazil from 1963 through 1965.